This acquisition could be a make-or-break move for IBM -- and its customers. For IBM, the move makes strategic sense, although it can be debated whether the deal will prove to be worth the size of the investment. IBM has struggled to transform itself from a legacy hardware vendor to a services-based company. It has also recognized the importance of the cloud model and the need to support private, public, and hybrid cloud models. Thus, gaining access to Red Hat’s 100,000 enterprise customers, with industry estimates that only about 20% of the potential workloads have migrated to cloud, appears to be a key benefit. In a June No Jitter post, industry expert Tom Nolle wrote, “Of the big proprietary data center system vendors, only IBM has survived the open-source revolution…” It seems to me that IBM has acknowledged that joining the revolution is necessary for its continued survival. IBM has been a supporter of open-source projects and has embraced Linux as the leading operating system on its latest generation of mainframes. IBM has also partnered with VMware to better enable client transitions to cloud, putting more distance from the legacy IBM proprietary platforms. IBM will now also embrace Red Hat’s OpenShift, a platform-as-a-service model which will likely lead to diminished support for IBM Cloud Foundry, even though that is an open-source PaaS model as well. In any case, IBM is (hopefully) moving further away from a proprietary, patent-first business model. Red Hat provides open-source software and services beyond a well-accepted (and well-supported) custom distribution of Linux. Red Hat Enterprise Linux (RHEL) is a clear leader in private data centers, but Red Hat recognized that the shift to cloud computing required an expanded strategy and it moved into supporting new cloud technology such as containers. Red Hat's OpenShift platform combines Linux, container technology, cloud automation tools, and software-defined networking for data storage. Although the majority of Red Hat's Linux revenue appears to come from on-premises environments, a substantial revenue source is from subscriptions used on public cloud platforms such as Amazon Web Services (AWS), Microsoft Azure, Google Cloud Platform, and even IBM’s cloud services. Microsoft acknowledged in September that Linux was the operating system of choice for the majority of its Azure customers. … today expanded their alliance to empower enterprise developers to run container-based applications across Microsoft Azure and on-premises. With this collaboration, the companies will introduce the first jointly managed OpenShift offering in the public cloud, combining the power of Red Hat OpenShift, the industry’s most comprehensive enterprise Kubernetes platform, and Azure, Microsoft’s public cloud. Wouldn’t IBM prefer to offer hybrid containers on the IBM cloud? One wonders what Microsoft’s reaction / long-term direction will be in response to IBM’s acquisition of Red Hat. This last issue becomes a concern of users: Will there be conflicts with IBM owning a core element of a solution implemented on a competitor’s platform? Red Hat’s independence has been one of its greatest strengths. Joining IBM complicates things, although executives stated that Red Hat would remain an independent unit within IBM. It’s important that customers and prospective users of both Red Hat technologies and IBM services obtain detailed roadmap plans and contractual assurances. Although some analysts state this is a necessary move for IBM’s long-term future, others have speculated it is not adequate when compared to the PaaS investments by Amazon, Microsoft, and Google. It certainly feels like IBM is playing catch-up. 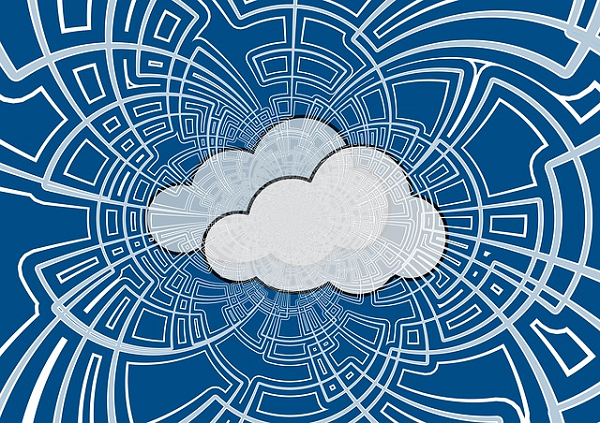 It’s also interesting that IBM is betting big on multi-cloud and hybrid cloud over the single cloud approach that some clients are leaning toward as a simplified and cost-effective solution. In any case, this acquisition could be a make-or-break move for IBM – and its customers.